It is rare to see a woman who does not like embellishments and ornaments as a part of her dressing. Women's accessories add to the overall appearance of the women – spicing their already beautiful outfit up. On Jumia, you will find unbelievable deals on a whole collection of sophisticated Birkin, Ankara, totes, clutch and travelling bags from designer labels like Hermès, Aldo, Michael Kors, Fendi and much more all here. You can actually stand out among your friends when you properly accessorize that floral patterned dress with women's belts and give yourself a pop of colour to add to your glamorous look. How about you get yourself designers' bags like Chanel, Gucci which we have on Jumia and watch yourself transform into a glam queen. Get women's bags and any ladies accessories at best prices only on Jumia, your favourite online shopping platform. Buy your hats & hair accessories made from authentic leather. Accessorize your whole ensemble with trendy and fashionable satchel bags, and combine it with a cute pair of skinny women's jeans and sneakers for a smart casual look. Purchasing women's accessories doesn't have to cost you a fortune. There are a full range of quality but low-priced women's fashion accessories on our website that will leave you saving some good amount of cedis. Jumia is here to help give your fashion wardrobe an image boost with our extensive collection of women's fashion accessories. As you may be aware, we do not settle for less in our offerings since we offer only quality. On Jumia, our customers are our top priority. You will find a variety of ornaments for women here from women's jewellery like chains, anklet and fashion rings, wedding rings, earrings, brooches and much more on here. For that elegant look and radiant appearance, you will be spoilt for choice when you browse through our large collection of women's fashion accessories. Buy from the best brands online such as In-vogue Afrique, Victoria's secret and more. Look good with your favourite clothing accessory today, be it locally or internationally made ones. Find essential women's fashion accessories like women's wristwatches, bracelets for women, waist beads, stud, shawls, pashmina, and women’s sunglasses – name it. Women's Fashion accessories can be safely tagged women's essentials but that is what they are – essential. They add colour, authority and perfect finishing to women's appearance. Do you want to step out looking adorable and elegantly accessorized? 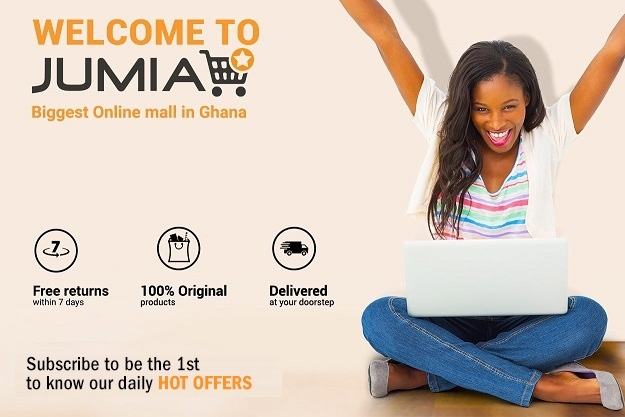 Shop on Jumia for the best in women's fashion accessories and be sure to be served with the best prices you can find online in Ghana.